Applications and operating systems run in pairs. 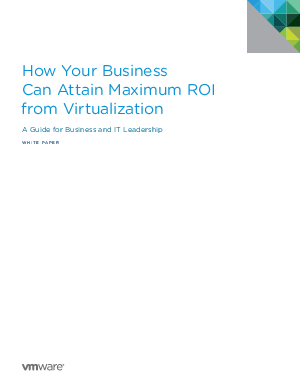 Virtualization allows company to run pairs of applications and operating systems on "Virtual machines," which are simply simulated compartments within one physical server. With virtualization, these compartments are protected from one another so if an application or operating system crashes, others running next to it are not affected. These virtual machines also are encapsulated into files that can be easily copied and migrated within the network or to an offsite backup facility, streamlining the ability to protect the business critical systems and data in case of failure and recovering them as needed to keep the business running.